Another well known two-factor-authenticator is Duo. We strongly recommend setting up such a 2-Factor Authentication to protect your account. Please generate a recovery code afterwards so you always have a possibility to gain access to your account in case you lose your mobile. Duo is a little bit more work to setup, as it has the precondition that you register for a Duo Account first on duo.com. 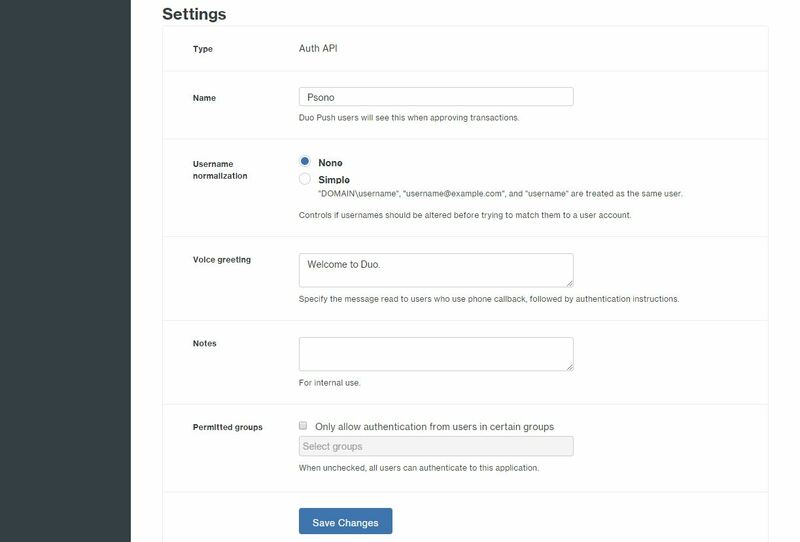 First we will now create a new application in the Duo dashboard, and afterwards we will configure Psono to use the appropriate “Integration Key” and “Secret Key”. 4) Write down all three parameters (Integration key, secret key and API hostname) from the “Details” section. Well done, your Duo is now active. We strongly recommend setting up a recovery code in case your phone gets damaged, is lost or stolen.